Modern scrubber-dryers are capable of addressing a wide range of maintenance tasks while providing you with a greater degree of versatility than ever before. Let’s take a look at five expert suggestions in order to ensure that you have made the best choice possible. All of these have been manufactured by Comac, so you can rest assured that you are in good hands. Different units are intended to address areas of different sizes. In fact, the surface area to be cleaned can often vary between 500 square metres and more than 12,000 square metres. This is why choosing the appropriate scrubber-dryer is important if you hope to reduce time and labour costs. One of the hallmarks of a reputable scrubber-dryer hire service is the ability to enjoy a risk-free trial before committing to any type of purchase. You will be able to determine the efficacy of the unit as well as if its mechanisms are appropriate for your cleaning needs. Even modern scrubber-dryers can encounter problems from time to time. Or, you might have a question involving a maintenance concern. You should always be provided with the option to speak with a dedicated customer support specialist. This will help to take the guesswork out of the equation while ensuring that you have chosen the right unit for the task. The cost of the scrubber-dryer is always a concern; particularly if you happen to be governed by limited finances. Search for a firm that is able to offer you cost-effective pricing options as well as a superior degree of flexibility. 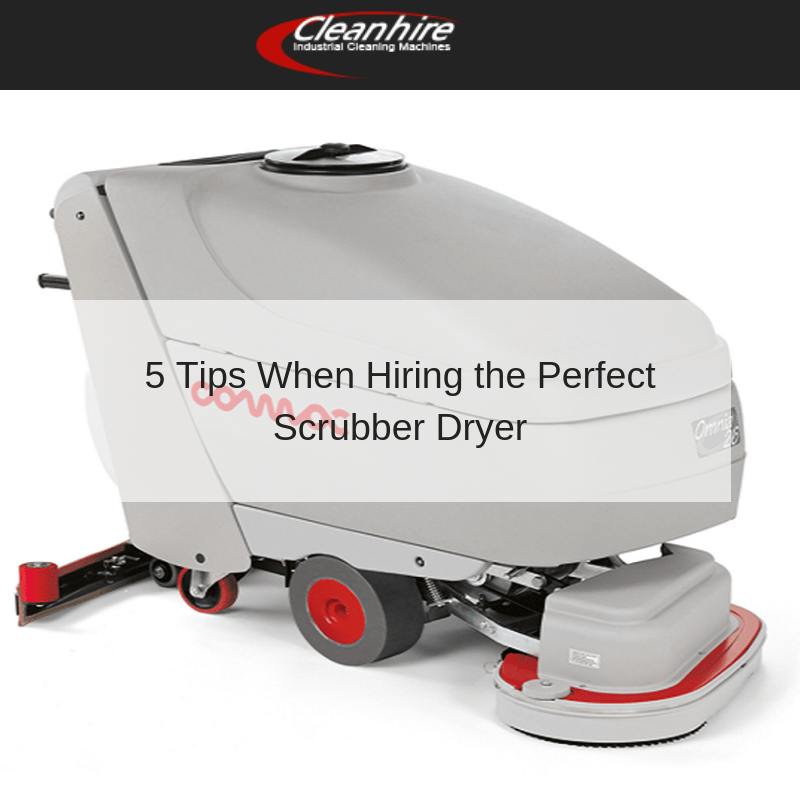 If you are looking to procure the best scrubber-dryers for your requirements, Clean Hire is always here to help. Not only do we boast a wide range of models to choose from, but each of these in maintained to the highest of standards. Please give us a call in order to learn more about your options.